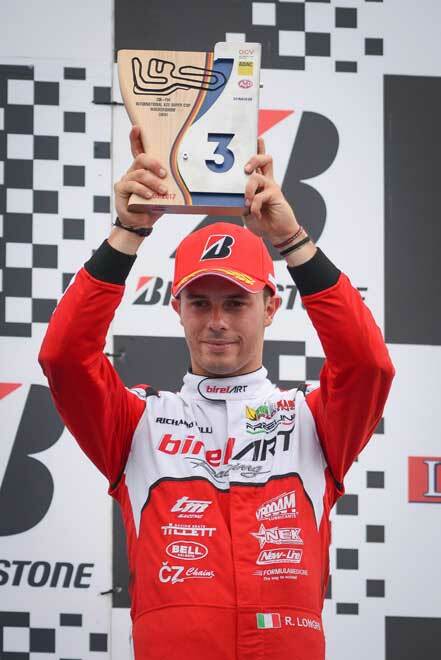 The performance of Birel ART at the World KZ Championship and the KZ2 International Super Cup was another success. Riccardo Longhi dominated in KZ2 before concluding on the podium, while Marijn Kremers played a leading role among the elite of KZ and finished 6th in the world. 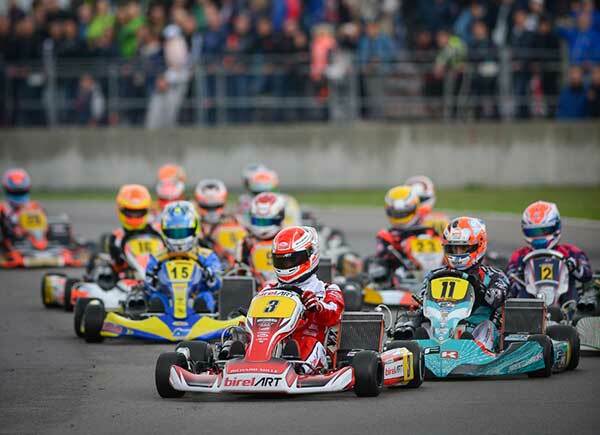 The biggest CIK-FIA event for the gearbox karts was particularly intense this year at Wackersdorf in Germany. The large number of participants, the winding Bavarian track and the changing grip in the rainy periods were very selective. The new 2018 Birel ART chassis, in combination with the excellent TM engines from the factory in KZ and the Daldosso KZ2 engines, allowed the drivers to express their talents to the fullest. Riccardo Longhi long maintained the hope of a victory in the KZ2 International Super Cup. Setting the pace with pole position in Timed Practice, the young Italian took five wins and a 2nd place in the many Qualifying Heats. He stayed in the top three in the Final, but could not find the opening on his rivals despite his great speed. The lap record holder of the event, Longhi climbed to the third step of the podium, the best result of his career equaling the performance of Menno Pauw in 2014 at Sarno. Alexander Dahlberg had shown good potential, starting with a top 10 in Qualifying. Delayed more often was fair in the heats, he nevertheless qualified for the Final, but had to retire before he could defend his chances. In a rare competition in Europe, the Australian Troy Loeskow (Ricciardo Kart) qualified 23rd for the Final. The Czech Dominik Javurek from the Joka Racing team made a fine recovery from 32nd in Qualifying to 12th position. A very promising young Dutch driver, Marijn Kremers defended the colours of Birel ART brilliantly in the World KZ Championship. After 2nd fastest in Qualifying, he was in the top five of the heats. Challenged at the start of the Final, Marijn got the maximum out of his equipment to return to 6th position on the finish line. Despite a disappointing Qualifying, Rick Dreezen (KSW Birel ART Austria) managed to gain 14 places in the Final to finish 15th. 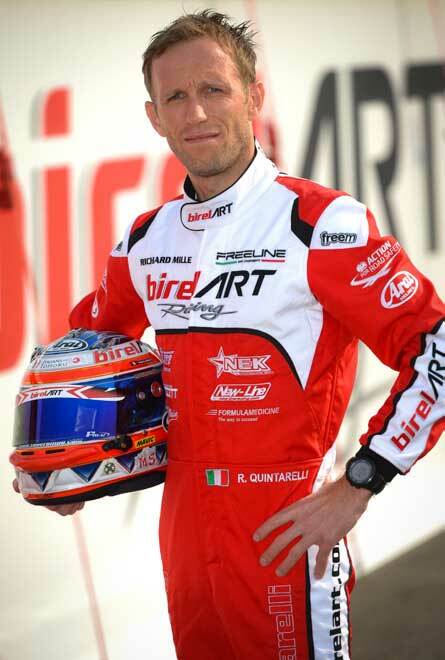 Rubens Barrichello had participated last year in World KZ with the Birel ART Racing Team. At Wackersdorf, another great name of motorsport, the 1999 European Champion and double vice-World Champion Ronnie Quintarelli was back in service. “Along with my GT career in Japan with Nissan, I’ve always kept in touch with karting. When Birel ART and TM Racing offered me the chance to compete in the World Championship, I immediately jumped at the opportunity. I was lacking a few days of testing with the current tyres, much harder than the special tyres that I used at the time and which are still used in Japan.